Spruce up your wardrobe this summer by accessorizing with sea glass – also known as “mermaid tears”! 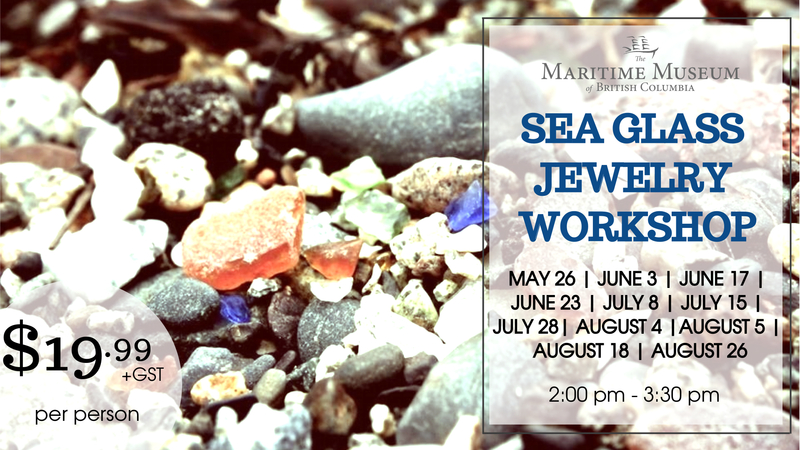 Create your own sea glass necklace, bracelet, earrings, or other one-of-a-kind jewelry at the Maritime Museum of British Columbia. 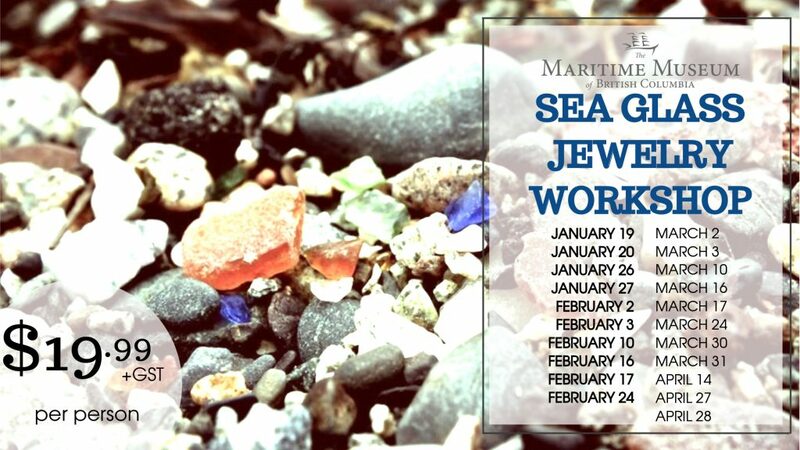 Using locally sourced material, our workshop leader will guide you through the process, connecting each piece to stories and histories of local areas around Vancouver Island. Ticket includes admission to the Maritime Museum of BC (valid for 24 hours). Please note: This workshop is limited to a maximum of 10 participants. We will contact you 24 hours before the workshop, should it be cancelled. A full refund will be issued, if the workshop does not run.